Posted July 27, 2017 by Diane & filed under My Books. If you’re like me, you’ve surely fallen in love with at least one cover to a book. That’s the book you always carry around with its cover facing out. Before you sit down to read, you stare at its cover for a few seconds and feel warmth, awe, and inspiration. When you’re done reading, you keep it nearby, cover facing up, for at least a few days. It’s one the reasons you read print books. A middle grade novel’s cover is a very particular kind of cover. It needs to be engaging, both a snapshot of the novel and an introduction to the novel’s world. It should tell a young reader what’s in store: the feel this book will have, the atmosphere, and a hint, at least, of what the book’s about. The best middle grade covers grab their readers to start, then stay in their readers’ minds long ago the book is done. I’ve long admired Antonio Javier Caparo‘s art, and I’ve kept books he’s illustrated with the cover facing up on my desk for a few days after I’ve finished reading (A World Without Heroes and The Hostage Prince are two of my favorites). 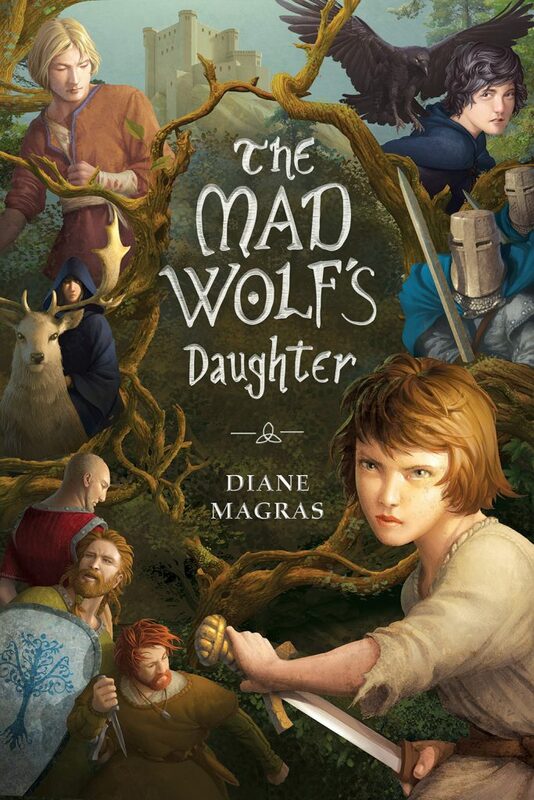 So I was thrilled when I heard that he would be the artist for The Mad Wolf’s Daughter. This is my cover. It’s my own dream come true, a beautiful work in its own right, and a great promise to my readers of what’s inside. Thank you, Antonio.